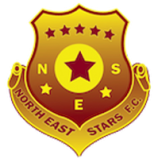 Joe Public star player Kerry Baptiste has scored in every match thus far this season and is confident of continuing his goalscoring form when his team clashes with W Connection this weekend. 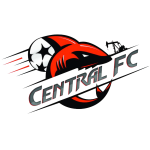 He scored a double against Caledonia AIA of Morvant Laventille in a 3-2 victory, one goal in his team’s 3-3 draw with Defence Force and a double against FC South End taking his tally to 5 goals in three matches making him the most prolific attacker thus far. 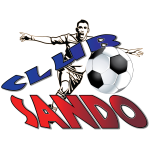 “It’s going to be a tough match (against W Connection),” said Baptiste, a former League Championship winner with former club San Juan Jabloteh. Joe Public will host the southerners from 4pm on Saturday at the Marvin Lee Stadium in Round One Match Day Four of the 2009 Digicel ProLeague. 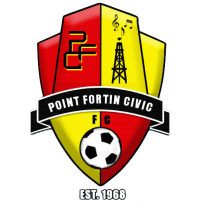 Joe Public are currently second on the standings with 7 points—two points behind leaders San Juan Jabloteh. Baptiste pointed out young players Micah Lewis, Kareem Young, Chad De Freitas and Kareem Jochim as the future of the club. He also prasied the performances of teammate Carlyle Mitchell adding that the defender should be given the chance at National level. Baptiste has returned to the T&T National setup under new coach and former player Russell Latapy. He is expected to travel to Tobago with the setup in preparations for their World Cup qualifier on June 6 against Costa Rica at the Dwight Yorke Stadium. San Juan Jabloteh will have a true test this weekend when Earl Jean’s young bunch host the experienced bulked United Petrotrin on Saturday at the Larry Gomes Stadium. Both teams are unbeaten thus far after Match Day Three making Saturday’s match an interesting one. 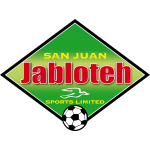 Jabloteh are leading the standings with 9 points after three matches while United Petrotrin are third with 6 points after two matches. Coach Jean with his youthful bunch inclusive of Cyrano Glen, Elton John, Devon Jamerson and Lester Peltier will surely be hoping to hold on to top spot after the weekend’s round of matches as they target a third successive League Championship. But it will not be an easy task for the defending champs coming up against the experience of Arnold Dwarika, Gary Glasgow, Cyd Gray, Nigel Pierre and Lyndon Diaz of United Petrotrin. 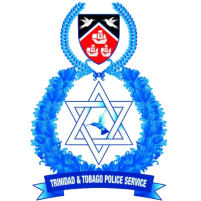 United Petrotrin are fresh from a 4-0 win against Police FC on Tuesday while Jabloteh recorded a slim 1-0 win over Tobago United. Petrotrin’s Brazilian Coach Marcos Tinoco will definitely have his sight set on the top spot with a victory this weekend and will be hoping for a repeat of Tuesday’s performance when the take on Jabloteh from 6pm. In the earlier match at the Malabar venue, from 4pm, Ma Pau SC will look to recover from Tuesday’s 2-1 defeat against Caledonia AIA of Morvant Laventille when the take on the well rested Defence Force. 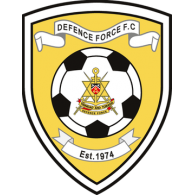 Defence Force has the striking power to get the job done, but it’s left to see whether or not the bye they received on Tuesday was in their favour. Moving away from the Larry Gomes Stadium, the Marvin Lee Stadium will host one of this weekend’s top clashes when W Connection visit Joe Public from 4pm. 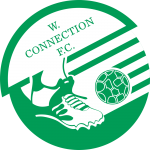 W Connection known for their attacking strengths were crowned Caribbean Champions last weekend and on Tuesday overcame St Ann’s Rangers 2-0 in which inform striker Jonathon Frias set up one goal and scored another. But Joe Public will boast Kerry Baptiste, coming off a double on Tuesday against FC South End. Baptiste is already concreting his name for the Golden Boot with 5 goals in three matches as the most prolific striker thus far. Public are second on the standings with 7 points and young coach Derek King will definitely try to hold on while W Connection coach Stewart Charles Fevrier knows that he needs to be in a better position than fifth with just 4 points and could create problems for Public. 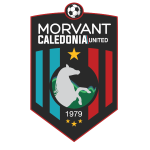 Meantime Police FC will look to rebound from their 4-0 defeat on Tuesday when they host 7th positioned Caledonia AIA from 4pm at the Mannie Ramjohn Stadium. The lawmen are 6th with 3 points but it wouldn’t be easy to redeem themselves this weekend despite having young talents Keion Wilson and Ricardo Peltier in attack. Caledonia are no run-over and are equipped with T&T internationals Densil Theobald, and Keon Daniel, striker Keyon Edwards and recently resigned defender Radanfah Abu Bakr to create problems on any given day. 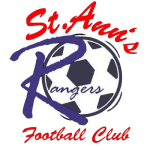 Round One Match Day action will also be at the Plymouth Recreation Ground when home team Tobago United, without a point after three matches, host St Ann’s Rangers. Rangers with just one point after three matches will need to cash in on some points with the shortened version of the League, to just two Rounds and a Big Six, making it a more exciting Championship. There are no room for slow starters, and teams must show their intent early this season.